A West African country, including the most westerly point of the continent in fact: the Cap Vert peninsula, where the country's capital city Dakar lies. The island nation of Cape Verde (a good 300 miles/500km off the coast in the Atlantic) takes its name form this westernmost African mainland point. 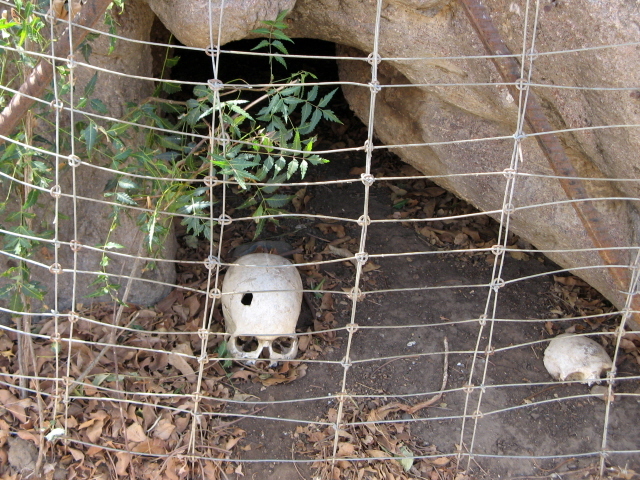 Senegal earns its place on the dark tourism map mainly for one specific place that has become one of the world's foremost sites for commemorating the horrors of the slave trade. That's the Maison des Eslaves on the little island of Goree out in the bay of Dakar. The city itself also has a few less well-known sites that may be of interest to the dark tourist. 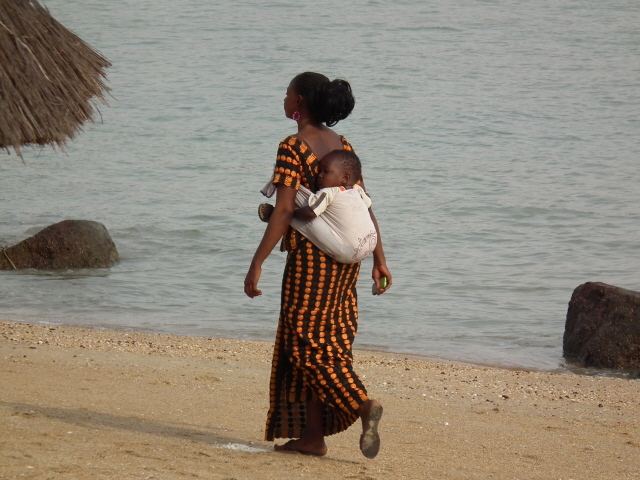 In general, contemporary Senegal is comparatively well developed for tourism today, at least by African standards. A large proportion of this, however, is simply mainstream beach holidays, especially in the resorts on the Petite Cote, with Saly at its centre. But there's also some cultural, wildlife and scenery tourism. The latter includes some rather stunning landscapes, in fact. I found Palmarin island in the Sine-Saloum delta especially enchanting. This is a flat sandy plain where the estuary of the Sine-Saloum river meets the Atlantic Ocean. It's a magical world of wide sandy expanses, studded with lonely baobab trees and small islands with clusters of vegetation. There are dense mangroves and lagoons that are home to thousands of birds, including pelicans. You can even go on hyena safaris here – which I thought was one of the highlights of my trip to Senegal in January 2013. Hyenas are so underrated in popular perception. They are usually vilified quite routinely as sly, vicious, ugly and as being cowardly scavengers. But I find them really cool. Much of their negative reputation is unjustified anyway. Yes, hyenas do live off carrion to some degree – but why should that be more lowly than praying on live animals like leopards or lions? (Which spotted hyenas do as well, by the way – they are not just scavengers.) 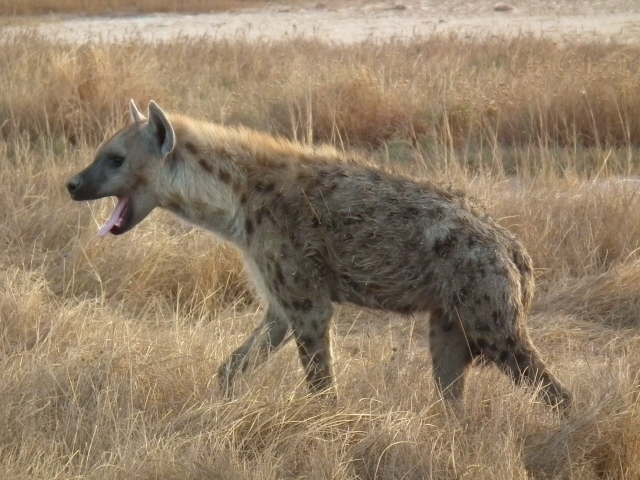 Moreover, spotted hyenas in particular are wonderfully intelligent and social animals. They live in very tight family groups usually led by an alpha female (matriarchy) and they generally display a much more complex social behaviour, more like that of primates such as baboons, than that of any canines like wolves (hyenas are not canines, by the way – they are more closely related to cats than dogs). 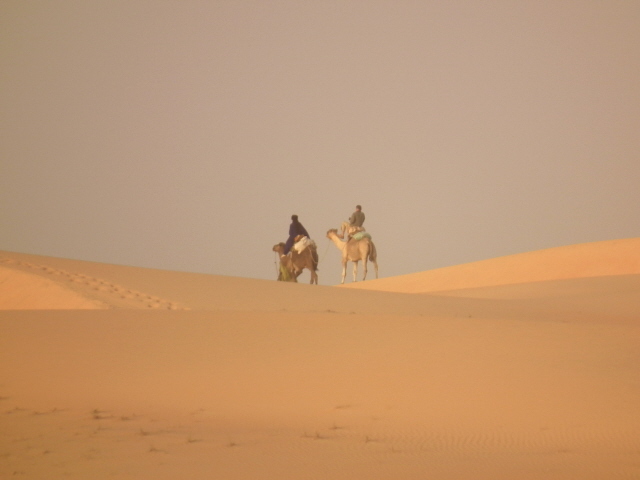 North of Dakar, not far from the coast, lies a stretch of Sahara-like desert, called Lompoul. It's a bit of a freak of nature – as if the Sahara lost and left behind some of its drifting sand dunes. These dunes are now prevented from expanding or moving by a band of vegetation around them. Inside the territory, though, it feels just like a prototypical, picture-book sand desert. You can stay in Mauritanian-type tented camps in the desert and go on camel rides, quad drives or simply walk on the desert dunes. Sunsets are especially magical when the shadows grow long and the colours become intensified. En route to Lompoul is another little freak of nature – a salt lake whose waters are home to some micro-organisms that turn the colour of the lake a reddish or even pink hue. Hence the name of the lake: "Lac Rose" or 'Pink Lake'. The light has to be right for this phenomenon to show properly, though. It has become quite a tourist destination, with some hotels/lodges around it offering accommodation as well as sand-dune rides in 4x4 jeeps or boat rides on the lake. Unfortunately, there's also some rather aggressive hassling of Western tourist to be encountered on the lake's shores (see below). Otherwise, salt extraction from the lake is an important traditional industry here – and you may well encounter Lac Rose salt in restaurants in other parts of the country! 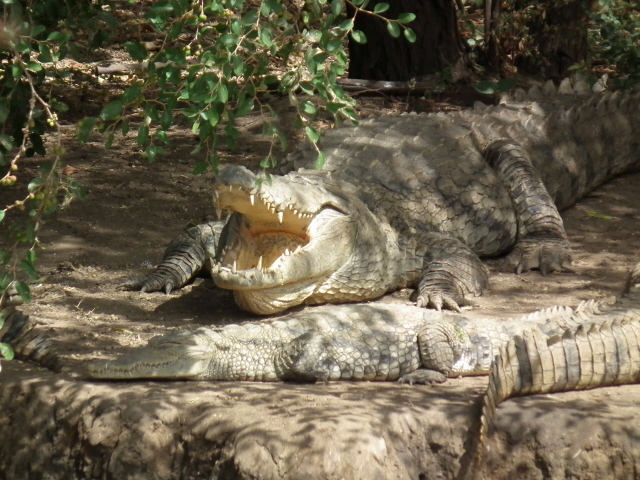 Wildlife tourism is catered for by reserves such as Bandia (near Saly) – although this is a bit artificial and more like an open-air zoo without fences, harbouring species that have long been extinct in Senegal or even never lived here in the first place. Still, its relatively small size makes it very likely to encounter giraffes, zebras, rhinos, all manner of antelopes and monkeys in quick succession. The monkeys at the reserve's restaurant are particularly cheeky and are quick to steal from lunching tourists' plates. 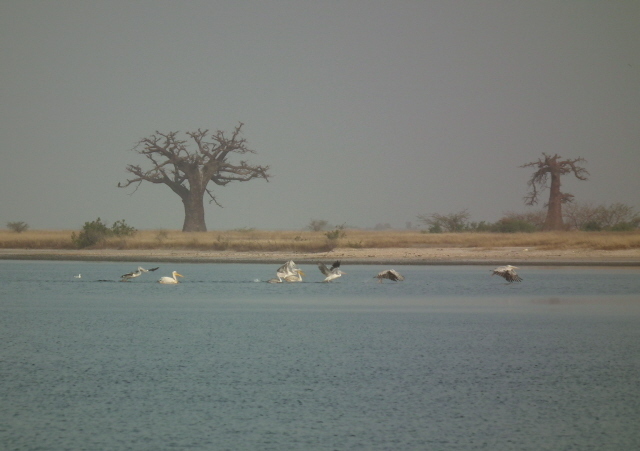 More genuine wildlife watching can be had in more proper nature reserves/national parks further inland or in the southern province of Casamance – the region below The Gambia – which however has at times been plagued by separatist troubles. Bird watchers rather head north to the mouth of the Senegal river (which forms the border with Mauritania, so is only partially in Senegal itself). Cultural tourists may be interested in the colonial relics left by the French, in particular in the northern city of Saint-Louis. Dakar also has some such vestiges. The twin towns of Joal and Fadiout are a prime tourism draw, the latter in particular. It is an island whose ground is made entirely of seashells (hence the alternative name "shell island"). The locals boast proudly about what a peaceful place it is, famed for the trouble-free coexistence of Muslims and Christians. Even the cemetery is shared. Senegal at large is 90% Muslim, only in Joal is it the Christians who are the majority. Thus the pride of place here is given to a church in the centre of the island, while the big mosque looms on the outskirts … You see lots of pigs out on the mudflats of the coast around shell island – always an indicator of the presence of non-Muslims. The animals of this place, however, generally seem to follow the peace motto of Joal-Fadiout too. The Muslim dominance in most of the rest of the country, on the other hand, is becoming more visible these days – all over the place you can see new mosques under construction, some totally oversized. You have to wonder where the funds for such exuberant construction efforts come from in a country that otherwise struggles with high levels of poverty. The land is not ideal for agriculture – it's flat and mostly close to arid (except in the far south) and the regular Harmattan winds of the dry season bring in sand from the Sahara, aggravating the situation. Peanuts have traditionally been the main cash crop (and you do encounter them everywhere). Rice and cassava are staples too. Traditionally Senegal has heavily relied on fishing, but both domestic overfishing (itself partly a result of overpopulation, as usual) and increasing exploitative fishing by other nations near or in Senegalese waters (China, for instance) have become problems. What pressures it will bring in the future remains to be seen. However, Senegal is a vibrantly multi-ethnic and largely peaceful country that can be proud of having had a far less troubled political history than many of its neighbours have had (or are still having!). Its democracy is by and large functioning, even if not without controversies (cf. Dakar). For the foreign tourists there are other downsides: in particular the rather aggressive style of hassling (white) Westerners. Step outside any tourist enclave and everybody seems to want to sell tourists some tack or demand money for plucking some string instrument or so. You have to develop a rather callous attitude of ignoring these hasslers, or else you'll never get anywhere and will constantly buying stuff you don't want. And then there's the rubbish – rubbish, rubbish everywhere … especially plastic. Every village's outskirts are typically fields of strewn plastic that extend for hundreds of yards on both sides of all roads in and out of the village. Riverbeds are similarly taken to be mere rubbish dumps (as well as sewers). You can't blame it on the Senegalese alone. It's the same in Bolivia or Armenia or Cambodia …The oceanic plastic gyres (see under Pacific) are as much to blame on the environmental ignorance in the so-called "developing world" as on the First World where so much of this plastic is made. It's utterly depressing. That it can be different, however, is demonstrated by other countries, within Africa notably by Rwanda, which has enforced a total ban on plastic bags, for instance. But back to more travel-related issues: Getting to Senegal will almost exclusively mean flying in, namely into the international airport of the capital Dakar (at the time of writing there were no regular domestic flights at all). Overland travel to Senegal entails going through some rather troubled territories, both politically as well as logistically. The formerly (in)famous Paris-Dakar rally has not been discontinued for no reason (or rather: it was moved to other parts of the world). Especially some of the northern neighbours in the Sahara would be positively dangerous for foreigners to traverse (esp. Mali and Western Sahara), and the southern neighbour of Guinea-Bissau has had a disheartening history of constant political instability with strings of bloody coups and countercoups for the last half century with no end in sight. Getting around within Senegal is either by bus or minibus ("bush taxi") – unless you are on a tour with a private vehicle with a guide and driver, which is the most common way of doing it for Western tourists, and for good reason. It saves an invaluable amount of hassle and logistic complications. There are a number of established operators that cater for this kind of guided tour tourism, also on a private and tailored basis. Prices aren't too inflated – even though generally Senegal isn't a particularly cheap place to travel in either. With regard to food & drink Senegal may be a tad behind Ghana's enticing cuisine, but also has interesting things to try. The national dish is Thieboudienne, which is basically fish with tomato rice, but it can be done in different ways that are more interesting than that simple description would indicate. Yassa, fish or chicken with onion and lemon, is common too. Fish in general is a ubiquitous staple, mostly served simply grilled and accompanied with rice and/or bread. The latter usually means a kind of baguette, which is obviously a legacy of French colonial days (same as in e.g. Vietnam). Kari – chilli condiments of varying types served in little bowls on the side – can spice up the otherwise not particularly richly spiced Senegalese dishes. Drinks-wise there's precious little to specifically write home about. There are two domestic brands of beer that are widely available but nothing special, otherwise almost everything (like French wine) is imported, and can thus be a bit expensive. They do make some fruit liqueurs (warang), but I never got to try any. In Palmarin I was able to sample some interesting juices (such as bissap and baobab), which also found their way into rum infusions/cocktails. Some were quite enjoyable. Normally, though, it is various brands of often brightly coloured soft drinks that dominate (in addition to tea, that is) … and those bottles add to the pest of plastic rubbish … but then again, so do mineral water bottles. Since tap water is rarely safe to drink in these parts, I'd recommend that at least you try and get a larger container (5 or 10 litres) from which to refill smaller re-usable carry-around bottles with a view to limiting your own contribution to this flood of plastic rubbish. Finally, Senegal is famously home to an especially rich and diverse music scene. Various home-grown brands of pop music are thriving, including some with more external Cuban and American influences, others more grounded in traditional African styles (e.g. mbalax). One original basis of West African music is/was the tradition of the "griots", a kind of musician caste who preserved oral history through song, especially through (literally) singing the praises of past heroes and kings. In the Bandia wildlife reserve (see above) you can visit a kind of shrine by a giant baobab tree that was a traditional burial place for griots of the Serer ethnicity.